Mars as in the person who writes Curling Stones for Lego People, not the chocolate bar or the fourth planet from the Sun. 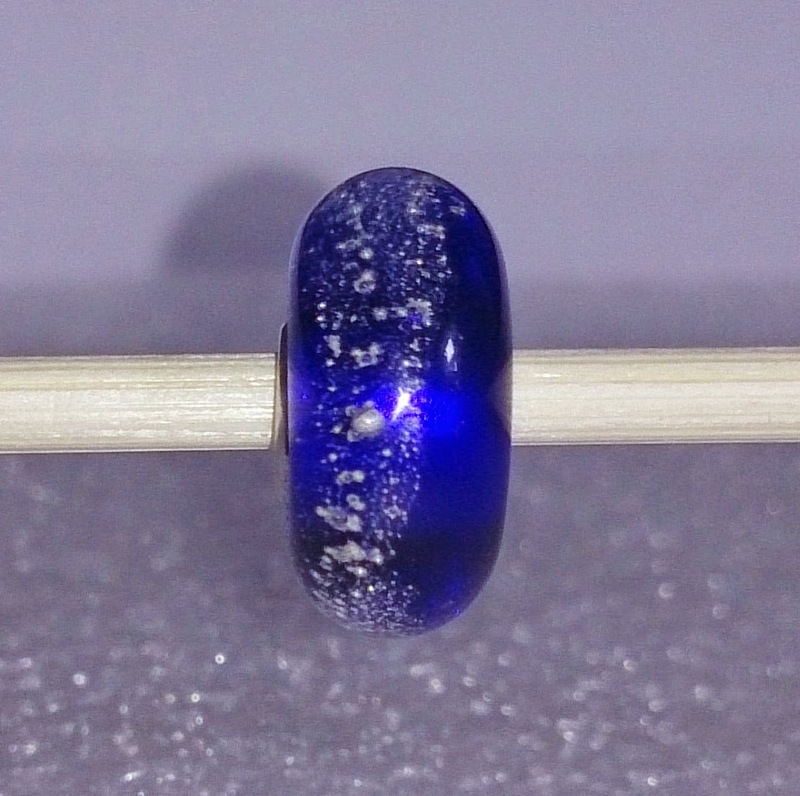 Although to stay on a combined celestial and chocolate tangent a little while longer, in order to show you a pretty bead; M is also for Milky Way. I very rarely write about myself, so this post is a bit of a challenge. I've been firmly in the blogging closet since I started Curling Stones, the most you'll see of me on here is a shot of my wrist... you're far more likely to recognise me by the jewellery I wear, or by hearing me recount the tale about my boilers, than by seeing a photo of me on here, and er, I'm not about to change that today. 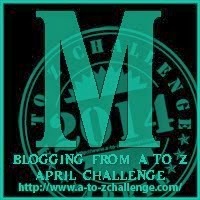 I shared some info in my About section for those of you who haven't found this yet, it's relatively new and I finally got around to writing this just in time for the A to Z challenge! But as you've taken the time to pop in to M is for... I thought I'd throw in 3 extra random facts about me! I've taken off in a plane one more time than I've landed in one. So there you go, you may or may not know something new about me. Visiting you from the A to Z. That bead is gorgeous! Did you make it? 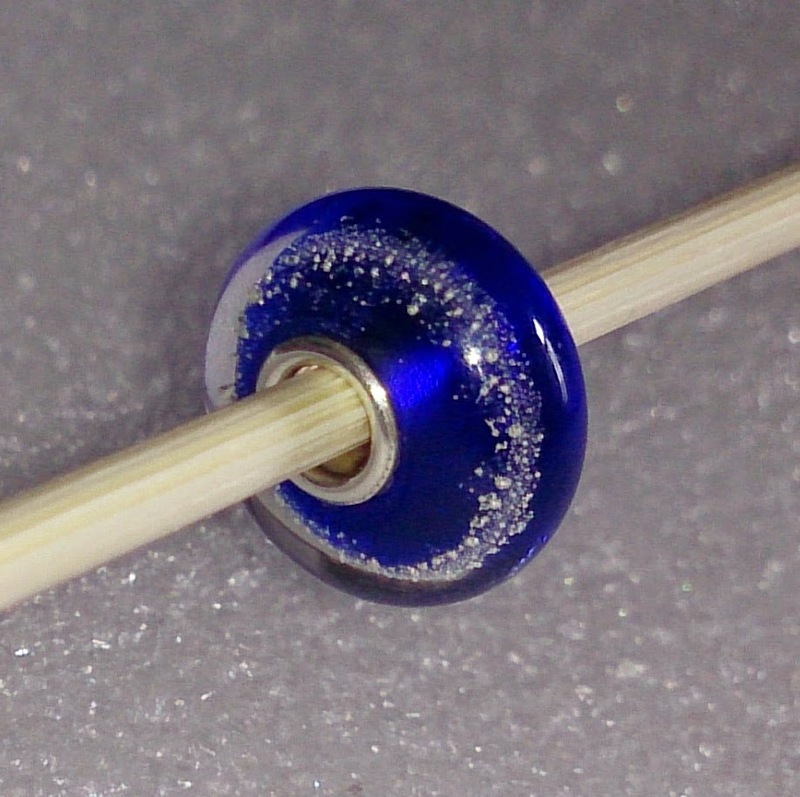 I used to make glass beads using a torch. I'm pretty crafty and have tried my hand at lots of artistic endeavors. I was rasied on a cotton farm in a sharectoppers shack. And I once flew in a hot air balloon. That's three things about me. The glass bead is a Trollbeads bead, the ones I made when I had a go where very basic, although I'd love to try it again as I really enjoyed myself last time. 1/ Aside from blogging and horse riding, I adore pole dancing and hoola hooping. Next on the list is aerial silks. I think somewhere in my subconscious, I just want to run away and join the circus. 2/ Possibly my favourite food on earth (and default comfort food when I'm upset) is Heinz Tomato Soup and cheddar cheese sandwiches. And yes, that has to be combined. 3/ I am absolutely terrified of bodies of water. I can swim but I haven't in around 15 years. I cried two years ago when my boyfriend tried to entice me into ankle deep water at the beach, where upon there were baby jellyfish everywhere (harmless) and he had to carry me out. That said, I can spend so long in the bath that I turn into a prune. I knew an ex circus performer, she also does pole and has started aerial skills too I think from recent photos. Great sharing! Although hugs for the bodies of water, I've another friend who has the same fear too. I love being by the water but I'm always hugely respectful of it, I think people who sail are rather brave! I think I feel the same way about jumping out of a plane, I'm really not sure what on earth possessed me that it would ever be a good idea! If I ever were to do it again (not going to happen) I want to do it out of a Hercules! Hi Kimberly, thanks for stopping by, just popped over to yours! I want to know how you got your name. Have you had it since birth or did you pick it up somewhere along the way? A little known fact about me: I visited Mt Everest base camp once when I was trekking in Nepal.